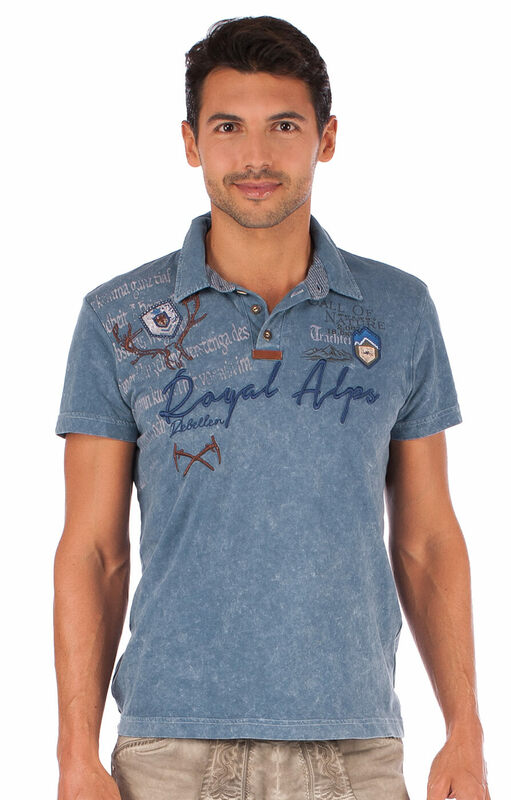 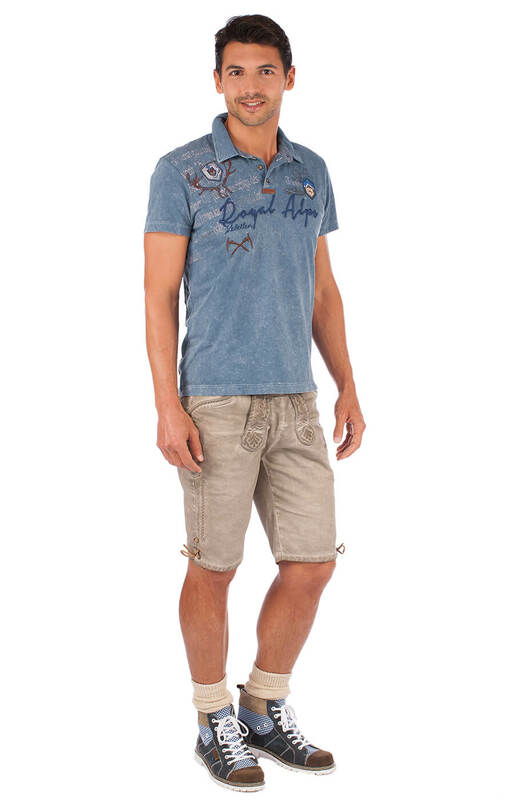 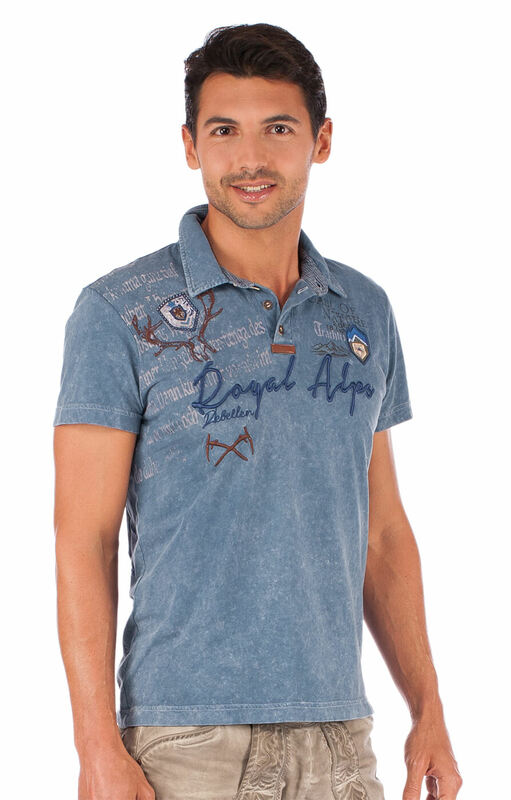 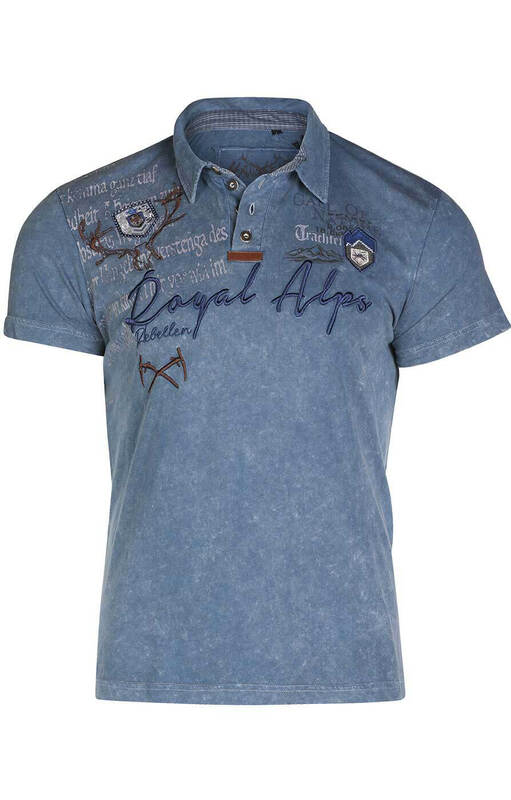 Men’s royal blue Trachten T-shirt. 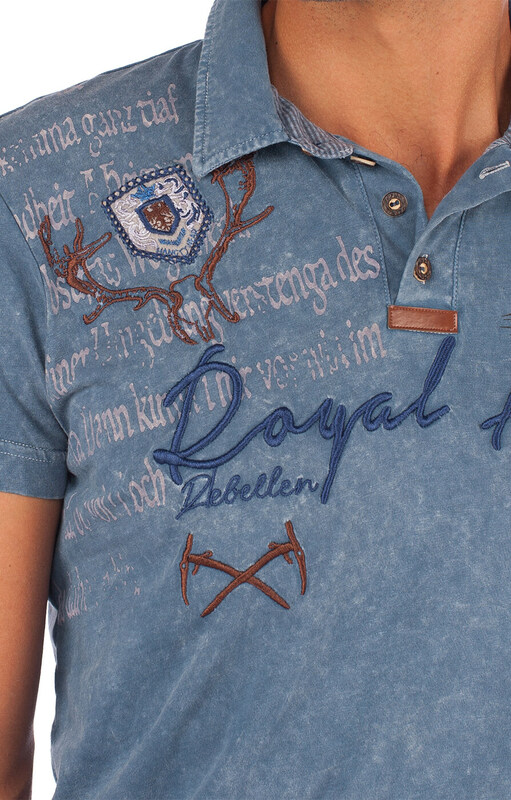 The striking design and flattering colour of this royal-blue T-shirt makes it stylish enough for any occasion, especially Oktoberfest. 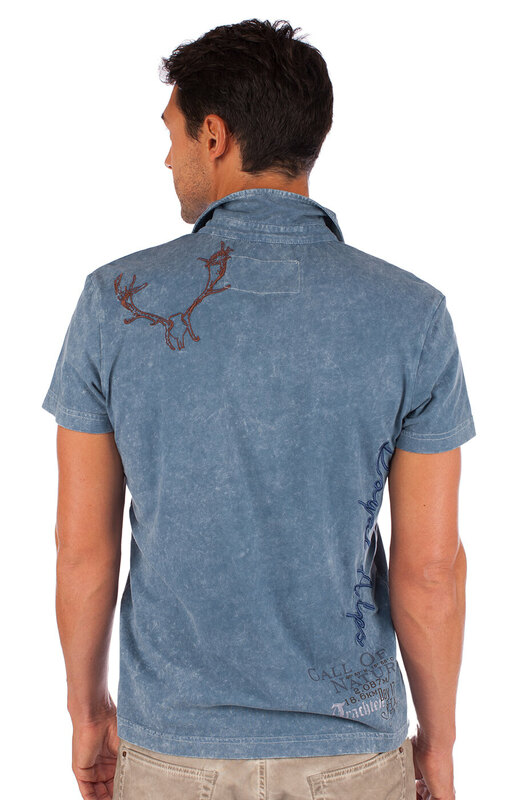 The T-shirt is made from 100% cotton and can easily be teamed with traditional Bavarian-style leather trousers or jeans, while the shirt boasts a classic deer head motif on the right breast and classic shield designs.